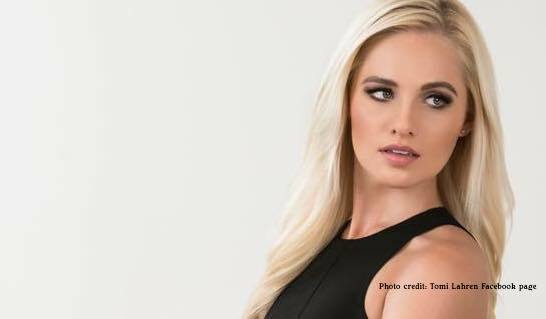 Controversial conservative personality Tomi Lahren appeared on talk show The View on Friday. The panel discussed various political topics with Lahren, but what raised the most eyebrows was the conversation about abortion. Surprisingly, Lahren declared herself “pro-choice.” And her reasoning was rather odd. Science has made it very clear that preborn children are human beings, not clumps of cells or globs of tissue. And this includes at the earliest level of development. Just 21 days after conception, in many cases before the mother even knows she is pregnant, the baby’s heart is already beating. (Recent scientific research indicates our hearts may begin beating as early as 16 days.) By six and a half weeks, brain waves can be measured, and by 10 weeks, the baby has her own unique fingerprints; if the baby is a girl, she already has her own ovaries and womb. It’s also quite clear that, scientifically, life begins at fertilization. The first cell of a new and unique human life begins existence at the moment of conception (fertilization) when one living sperm from the father joins with one living ovum from the mother. It is in this manner that human life passes from one generation to another. Given the appropriate environment and genetic composition, the single cell subsequently gives rise to trillions of specialized and integrated cells that compose the structures and functions of each individual human body. Every human being alive today and, as far as is known scientifically, every human being that ever existed, began his or her unique existence in this manner, i.e., as one cell. If this first cell or any subsequent configuration of cells perishes, the individual dies, ceasing to exist in matter as a living being. There are no known exceptions to this rule in the field of human biology. And while Lahren talks about how she’s a “constitutional,” she fails to mention the very first right protected in the Declaration of Independence when this country was formed: the right to life. The 14th Amendment to the Constitution says that a state cannot “deprive any person of life, liberty, or property, without due process of law; nor deny to any person within its jurisdiction the equal protection of the laws.” Yet this is exactly what abortion does; it deprives preborn persons of their right to life. You would think Lahren, as a “constitutional,” would understand this. You would think she would understand that one of the only fundamental duties of a constitutional government is to protect life. Of course, as Adam Peters pointed out for Live Action News, there is actually no mention of a right to abortion in the Constitution at all; in fact, Justice Harry Blackmun, who wrote the majority opinion for Roe v. Wade, argued that if a fetus is proven to be a person, then he also has the right to life, just like born persons. The appellee and certain amici argue that the fetus is a “person” within the language and meaning of the Fourteenth Amendment. In support of this, they outline at length and in detail the well known facts of fetal development. If this suggestion of personhood is established, the appellant’s case, of course, collapses, for the fetus’ right to life would then be guaranteed specifically by the Amendment. The appellant conceded as much on reargument. It could be argued that, when Roe v. Wade was decided, science did not allow us to truly understand the humanity of preborn children. But that has changed; there is no doubt that preborn babies are separate, living human beings. And while Roe v. Wade was decided under the right to “privacy,” as there is no right to abortion in the Constitution, there is likewise no right to privacy mentioned, either. Being pro-life and pro legal gun possession are not mutually exclusive nor are they at odds with one another. In fact, they are morally, legally, and ideologically intertwined, working in tandem to protect innocent lives, in different ways, both offensively and defensively. Without the right to defend oneself with force, law-abiding Americans would be as defenseless as a newborn—incapable of defending themselves, looking only to the state to prevent harm. Literally every facet of Lahren’s argument falls apart with even a tiny bit of rational thinking. Oddly, just weeks ago, Lahren was tweeting about the need to protect preborn children. What made Lahren decide that she wanted to flip-flop on the issue of abortion is unclear, but whatever her reasoning was, her argument in favor of abortion is fundamentally flawed and shows an astoundingly shallow understanding of the issue. If Lahren really wants to claim that she loves the Constitution, she needs to understand that all people—preborn and born—have the right to life and deserve to be protected.